This week Open Class corps Impulse left on its final tour of the 2008 season, which will culminate at the DCI World Championships next week. Among them is 21-year old age-out, Roqu?© Casta?±eda. Known as 'Rocky' to his friends, he is Impulse's center snare. He took some time to answer a few quick questions. Q: How did you discover drum corps? 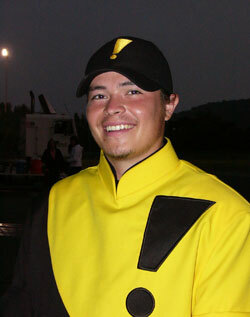 A: I discovered drum corps by going to my high school's band competition. Q: What brought you to Impulse? 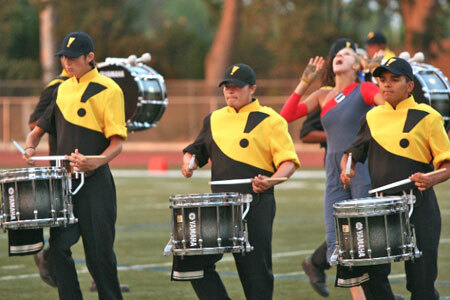 A: Impulse was the nearest and one of the first drum corps that actually caught my attention. Q: How long have you been with the corps? A: I have been with Impulse for two years. Q: Why did you accept the position of center snare? A: I accepted my position for center snare, because I knew what I had to do and I knew that our caption head could trust me in that spot. Q: Has drum corps helped with your academics? A: Drum corps has helped me in almost every aspect of my life. It taught me so much more then just music: How to cope with people and how to organize my life to have a smooth ride at no matter what time of the day. Q: How has this season been for you? A: This season at Impulse so far has been an amazing adventure. The guys are hilarious and the staff is making it real easy to go every day and do our best without losing sight of our motivation. Q: What's your most vivid memory of the season? A: So far the most vivid memory I have had was coming off the field and seeing every one in the corps with a smile on their face, knowing that everyone had done their best show so far. Q: What is your favorite part of the show? A: My favorite part of the show at this time is the closer, only because it's more intense. The repertoire for the percussion is awesome to perform. Q: What audience do you remember the most and why? A: The audience that I remember the most was at our home show in Long Beach. My family and friends were in the audience and it has been one of the loudest audiences of the season. Q: Give an example of how Impulse is special. A: Impulse is very unique. It's always a blast to rehearse and perform with every member. I feel like this corps is a lot more like a family then it is some random group of performers. I believe that staff has done an amazing job in putting this family together to have an amazing season.